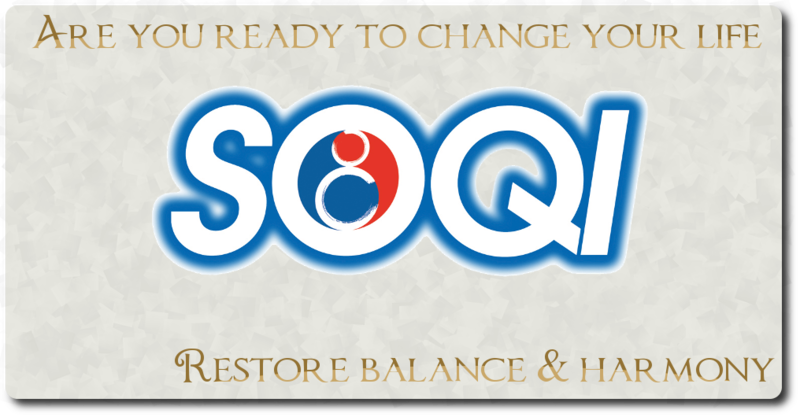 The SOQI Bed incorporates natural health care and high quality products using a unique "Multiple, Energy Approach". This multiple energy approach is inspired by energy and "Back to Nature" concepts and is your gateway to improved health. The Ultimate Total Health Spa experience built into a specially designed massage table bed. Perfect for everyone-home health care, health clubs, fitness centers, spas ect. Safe, simple and a natural way to achieve good health! The Chi Machine is the culmination of 38 years of research and development by Dr.Shizuo Inuoe, a medical visionary and developer of the world renowned Chi Machine. Body Oxygenation: This unique device combines the motions of walking and swimming. Fifteen minutes on the Chi Machine is equivalent to 10,000 Steps in terms of body oxygenation. Utilizes Full Spinal Movement: The Chi Machine delivers the best possible lateral "goldfish-like" movement to the spine while the body is in the ideal position. Provides a full Body Massage: Massages internal organs and the body systems. Far Infarared Rays (FIR) are well beyond the ability of the naked eye to see. 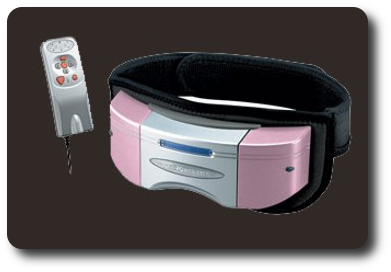 The HotHouse generates far infrared rays, which your body feels as gentle penetrating heat. This heat is absorbed deep into the body. The HotHouse elevates body temperature, which stimulates blood circulation, accelerating the metabolic exchange between the body and blood vessels to relieve pain and is good for the healing process. Its unique arched design enhances the thermal effect. Experience total relaxation - It is easy to use and very comfortable. It will make you feel absolutely terrific! 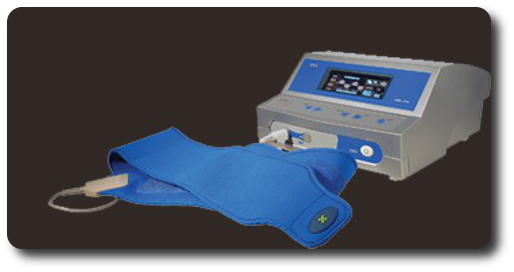 The Advanced ERE is an instrument that helps reconnect broken or damaged electrical circuits within the body by stimulating it with the correct wave form, current and frequency. When there is pain in the body there is electrical reistance, meaning the electrical signals between cells are suppressed. Consistant use of the Adanced ERE can help restore the flow of electricity through the painful areas of the body. The Advanced ERE is not just a foot massager; it is effective at producing the ultimate feeling of relaxation, while balancing the body. 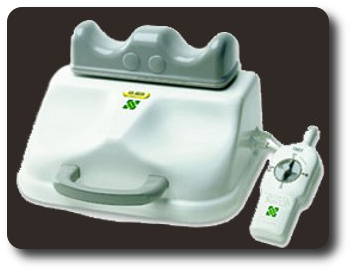 The Advanced ERE also provides the option of using three sets of electro pads which can be used simultaneously with the foot massager. This can help pinpoint and stimulate such areas as the neck, shoulders, back, ect... Using the Advanced ERE for 5 - 30 minutes a day will help relax and revitalize your entire body. Always Consult with your doctor before using the Advanced ERE if you are under medical treatment or use any electronic medical instruments, pregnant, or nursing. Why do we need to increase Electric Potential? Since there are 15-90 millivoltages in a cell membrane in your body, and approximately sixty trillion cells in the whole body, the total electric potential is a very considerable number. In addition, the electric potential in the human body reduces with age, and reduction of electric potential can trigger illness. For this reason, it is necessary to increase the electrical potential to improve your health. E-Power was designed to provide Negative Potential Energy (Energy for Rest) with High Frequency Energy (more ATP) Using your body as a capacitor, E-Power generates 70 KHz of high frequency electrical waves creating an internal energy that will balance and revitalize you. You should NOT use if you have a pacemaker, are menstuating, pregnant, or have a high fever. Consult with your doctor before using the E-Power if you have any implants of gel or silicon, transplanted organs, heart problems or tumors. Power Eyes combines air pressure, heat compression and vibrating massage which can benefit blood circulation around the eye area. This also is good for the metabolic process around the eyes and helps elminate dark circles and fine lines. In Addition, Power Eyes can help you achieve a good night's rest. Eyeshade: Auto - Adjustment on eyeshade, conforms to the face (thin wide, short, and long). Internal Low Pressure Air Bag: Safe and quiet low pressure air pump massages the eyes without excess pressure. Micro - Computer Digital Programming: Precise Micro-computer programming allows for 5, 10, and 15 minute intervals for use. Nano - Energy Eyeshade: Precise anti-bacterial Far Infrared heat and anions. Consult with your doctor before using this product if you previously have had an eye operation, glaucoma, cataracts, etc. 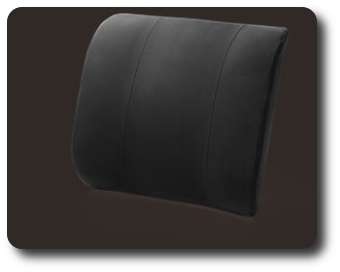 The FIR Lumbar Cushion is an ergonomically designed lumbar support pillow made with high resilient polyurethane material and provides far infrared technology, vibrating massage and penetrating heat. 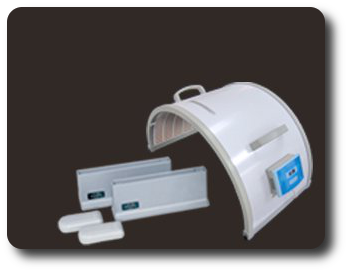 Far Infrared Rays (FIR) The FIR Lumbar Cushion utilizes far infrared technology to expand capillaries which assist in increased blood flow and circulation. Heating Conductor The FIR Lumbar Cushion features a heating conductor that offers soothing relief to sore muscles and joints and can reach a temperature of up to 113°F. 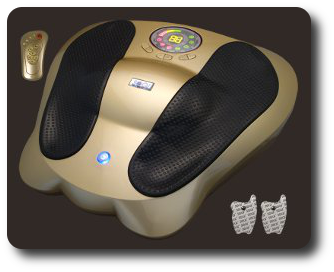 Vibrating Massage The FIR Lumbar Cushion consits of two individual motors to help relieve lower back pain, improve circulation and proper function to the kidneys. Ergonomic Design The FIR Lumbar Cushion was specifically engineered to adequately support the muscles and skeletal structure of the lower back and supports good posture in individuals. The FIR Lumbar Cushion is a combination of excellence! These Statements have not been evaluated by the food and drug administration, This product is not intended to diagnos, treat, cure of prevent any disease.